Last night we dropped in at the Dry Dock on Main Ave. in Norwalk for some delicious tacos. The beer was cold, the service warm, and the tacos flavorful. But the big surprise was the beautifully painted windows. 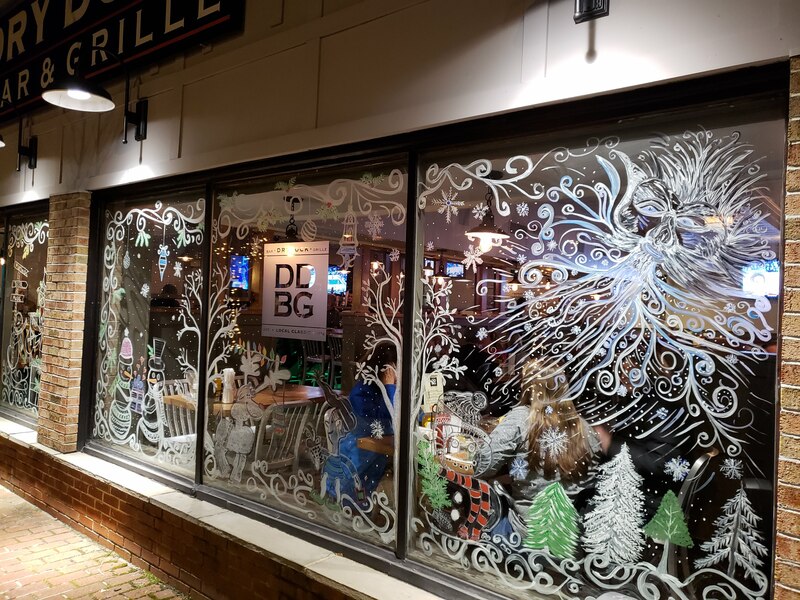 Winter scenes, drawn by a member of the staff, are fun to look at from inside and are dramatically back lit from the outside. 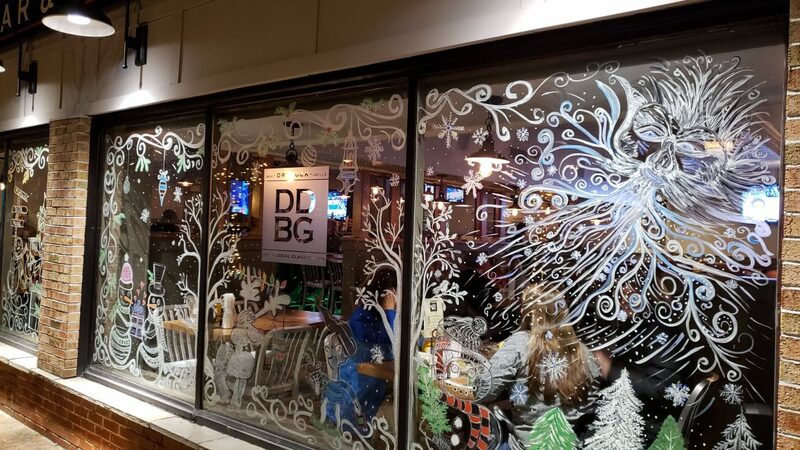 Be sure to drop by for a good meal and look at the windows. There are still a couple sections left to be painted. I’ll be watching every time I drive by to see what’s new.